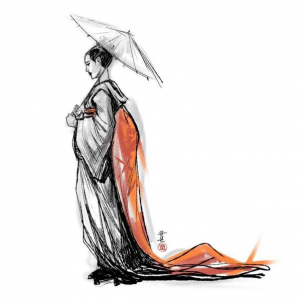 When he heard that a motion picture based on Arthur Golden’s novel Memoirs of a Geisha was being produced, Williams reached out to director Rob Marshall, asking if he might be considered for the job of scoring the music. Once he’d recovered from the surprise of the question of course the answer was a resounding “yes”. Williams was keen to take the opportunity to utilise traditional Japanese instruments and playing techniques suggested by the subject matter, however it was the violin and the ‘cello that he would use to represent the two main protagonists. In the movie we witness 9-year-old servant, Chiyo’s rigorous years of training and transformation into the geisha of incredible beauty and influence, Sayuri. Her character is represented by the violin, whilst her kind benefactor, the Chairman is represented by the ‘cello.